Kenneth Andrew “Andy” Babyak, 78, of Mecca, passed away Friday, October 5, 2018, at Indiana University Hospital in Indianapolis. He was born May 21, 1940, the son of John and Edna Reynolds Babyak. Andy was married to Nola Myers for 50 years. She preceded him in death in 2006. He served in the U.S. Army and retired from General Motors in Indianapolis. 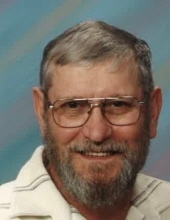 Andy was a member of the Half-Century Club in Clinton, Isaac Walton League, and Montezuma Fish and Game Club. Andy was preceded in death by his parents; wife; daughter, Andra; brothers, John Paul and Donald Kemper; and sister, Mary Armstrong. Funeral Services will be held Tuesday, October 9, 2018, 11:00 a.m., at Barnes and Rice Funeral Home, 111 East High Street, Rockville, with Pastor Tim Guoli officiating. Visitation will be Monday, October 8, 2018, 4:00-8:00 p.m. at the funeral home. Burial will be in Memory Garden Cemetery, Rockville, Indiana. To send flowers or a remembrance gift to the family of Kenneth "Andy" Babyak, please visit our Tribute Store. "Email Address" would like to share the life celebration of Kenneth "Andy" Babyak. Click on the "link" to go to share a favorite memory or leave a condolence message for the family.